Indianapolis has become a favorite of many looking to settle down in a new city. The amount of requests I receive from out of state visitors to my websites, proves people are looking for a change and Indianapolis is on their list. Some are being transferred, others are looking for a quality of life they haven’t found in their city, many are coming home…….the new group is retirees. Retirees are looking to find a city where they have access to arts, entertainment and big city feel which is affordable. Indianapolis provides just the right balance for those whose search will find them retiring to the city. 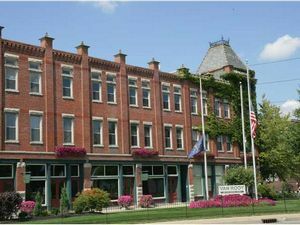 CNN Money designated the Mass Ave Arts District in Indianapolis as one of the top 35 best areas in a big city to retire. Located in the Northeast quadrant of the city, you won’t travel far to find museums, shops, arts, theatres and galleries. Indianapolis also has the bonus of being nominated one of the most affordable cities to live in by Forbes. For the club swinging group, who want some time on the links, Indianapolis offers 137 golf courses, ranking 14th in the Nation. Along with the wonderful parks and greenway system, there is plenty of outdoor activities in downtown Indianapolis. Young professionals are also calling downtown Indianapolis home. I recently sold a Brownstone at Lockerbie to a young couple wanting to make their first home a downtown condo. Being close enough to walk or bike to work, the trails, Mass Ave, shopping -these are just a few of the reasons they chose downtown. Homes in Indianapolis are a bargain compared to many big cities. 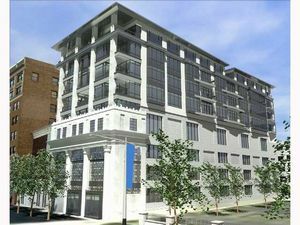 You can find a 1500 square foot condo in Lockerbie Glove for $289,000, with secured entry and parking garage or a 2800 square foot condo right on Mass Ave at Three Mass Condos, priced at $519,000. Whether you are retiring or relocating and love city living, Indianapolis is a great city to call home.